Attendance at Homeschool Day at the Capitol is free to everyone. Please use the following form to register your attendance for this event taking place on March 6th, 2019 at the Capitol Building in Atlanta. GHEA is offering two classes for children ages six and up. One on the legislative process and one on the judicial processes. Class registration includes both classes! Class registration for non-GHEA members is $10 per child. Join GHEA today, or log in as a member, and get the member rate of $5 per child, with a cap of $15 per family. **GHEA uses email as its primary form of communication. By entering your email address you agree to allow us to communicate with you via email. We promise to store your contact information securely, and never sell your email address. Are you part of a homeschool group? We would love to know who your state legislators are so that we can alert them of the total number of homeschoolers attending from their district! If you need to find out the name of your STATE Senator or Representative, you can click on the following link and find out quickly, simply by entering your address. Thank you for helping us to make a stronger impact at the Capitol! Visit OpenStates.org and enter your address to find your Senate and House Representatives. 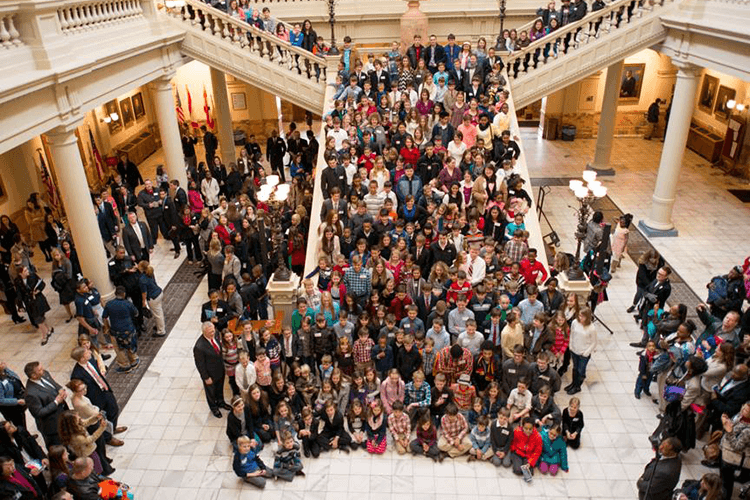 Homeschool Day at the Capitol is a free event. We are offering two classes. One on the legislative process and one on the judicial process. Class registration for non-GHEA members is $10 per student. You may change your registration above and register as a member, or indicate below the number of students that will be attending classes. If not registering for classes, please enter 0.